First let me say Im very impressed with the 5D4. Really incredible camera, even the video - I am very impressed, so this isn't a post to rip on the 5D IV at all. I think it is amazing. I noticed something strange when shooting my Dynamic Range test, it looks like some sort of ghosting across the frame (see images below) and it occurs even when I block 1/2 of the lens with a poster board. It is a horizontal banding across the entire frame, even on the side that was completely blocked with a black poster board (right on the lens). The strange thing is, I've posted this on Canon's Forum twice now, and both times it was taken down almost immediately. Which is really strange. I was wondering if a couple of you guys could test the same conditions on your 5DIV's to see if you are getting the same results? 1. The defect doesn't happen on a 5D3, A7rii, Nikon D500 or Fuji XT-2 under the same conditions. 2. It only happens on the very far left 1/3 of the frame when over-exposing a certain amount of it, about 1/4-1/3 of the frame, and it typically needs to start on the very far left side, and extend minimum about 1/4 into the frame. Overexposing in the center, the right, or smaller portions of the left side have no effect and seem normal. 3. 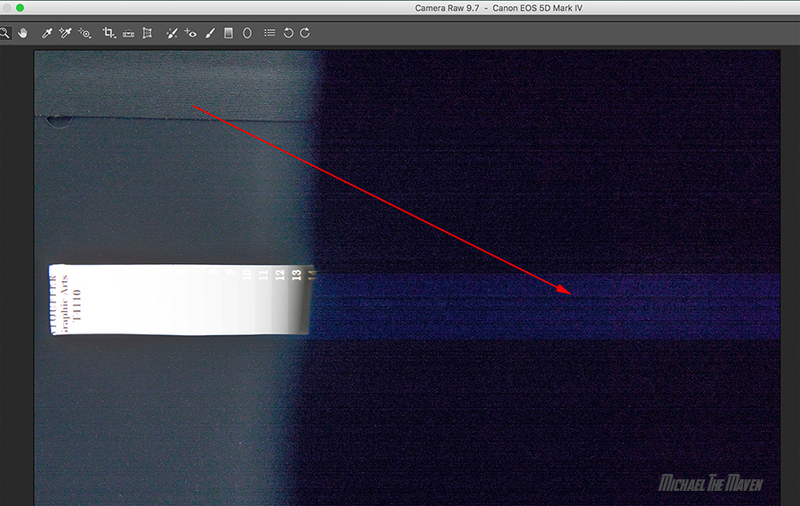 The defect is strictly horizontal, even when the over exposure is oriented diagonally. 4. The defect is not visible until raising the shadows. You won't see it until then. 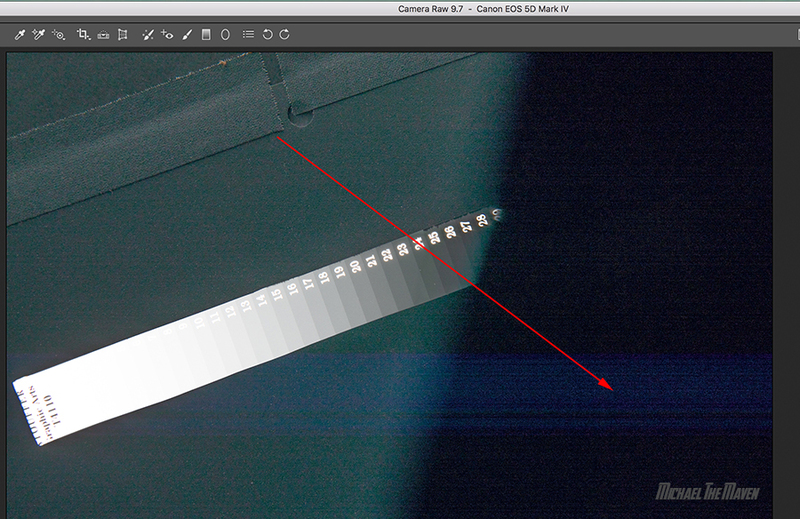 Im trying to figure out if this is something exclusive to the 5D4 I was using or if it is a model wide defect. Can anyone else test this to confirm or deny? 2. Overexpose the left half with a strobe. 4. Open up the shadows. Please let me know in the comments below & I thank you in advance!